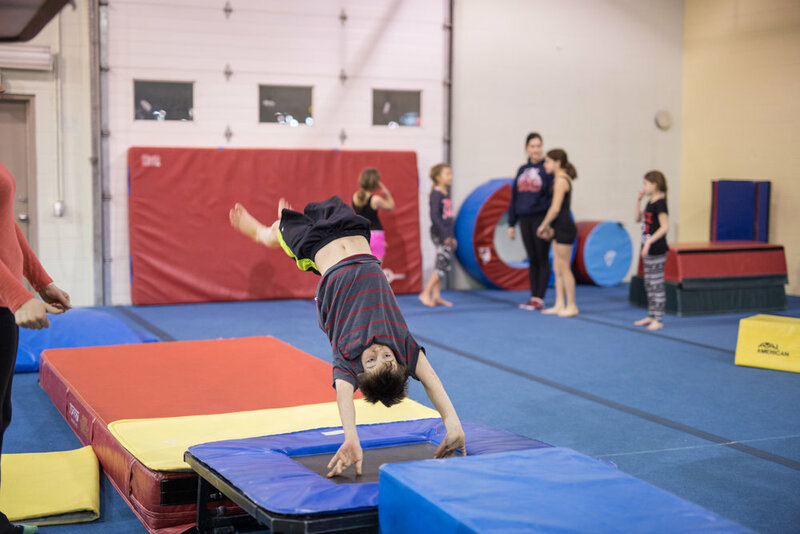 The Rainbow Program used at NVGS is a skill development and evaluation program for Men’s and Women’s artistic gymnastics. This program is intended for use with participants of varying abilities aged 5 and older, including beginner level participants through to entry level competitive gymnasts. The skill progressions in each level allow participants, coaches, and parents to monitor progress in addition to being a motivational tool for athletes. The primary aim is to create a friendly and stimulating environment for all participants. Elementary levels (Red, Orange, Amber) focus on learning and mastering fundamental movement patterns. At the intermediate level (Yellow, Green, Turquoise), the concentration is on fundamental skills on Men’s and Women’s Artistic apparatus, while at the advanced levels (Turquoise, Blue, Purple), gymnasts strive to master specific target skills.